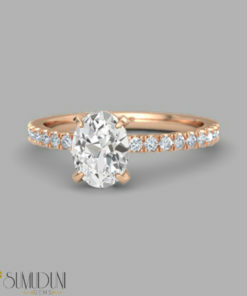 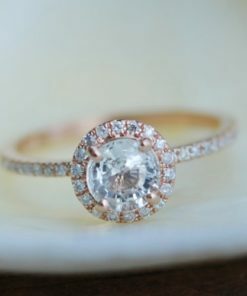 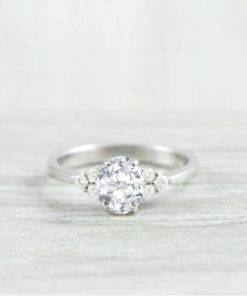 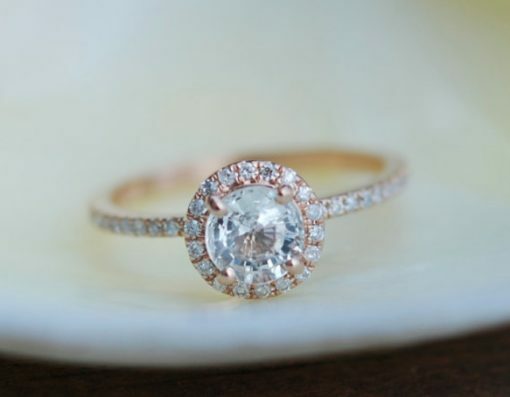 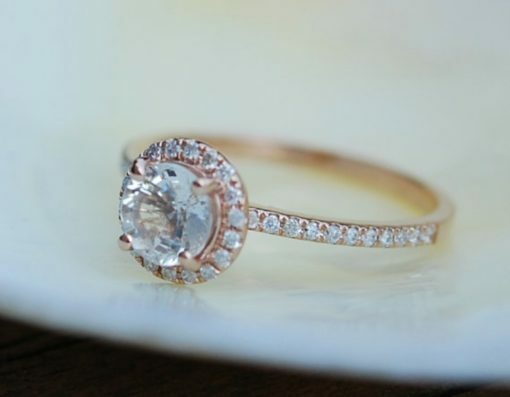 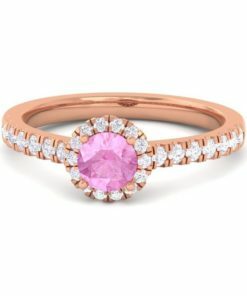 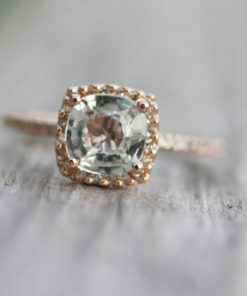 Rose gold diamond ring engagement ring with 1.22ct round white sapphire. 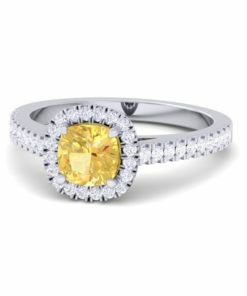 This ring features a 1.22ct round sapphire. 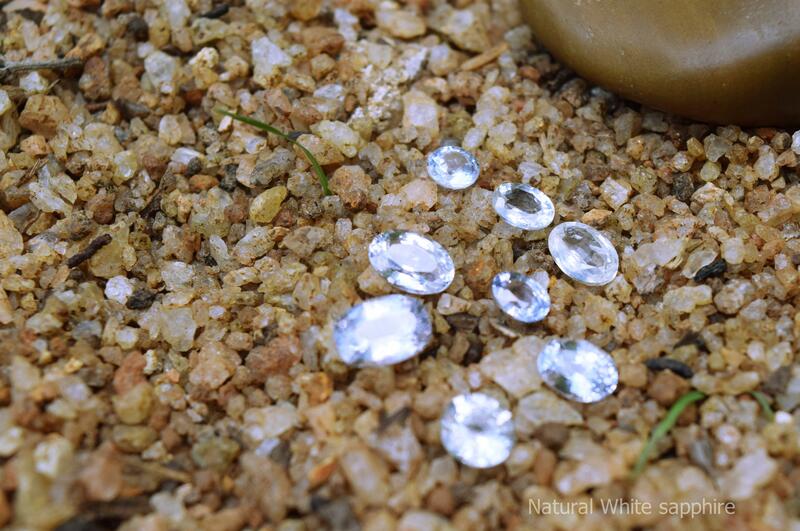 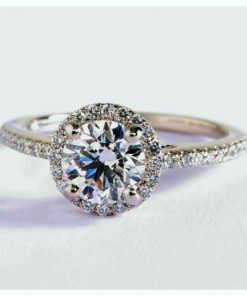 The stone is very beautiful and clean, tones of sparkles, like a diamond! 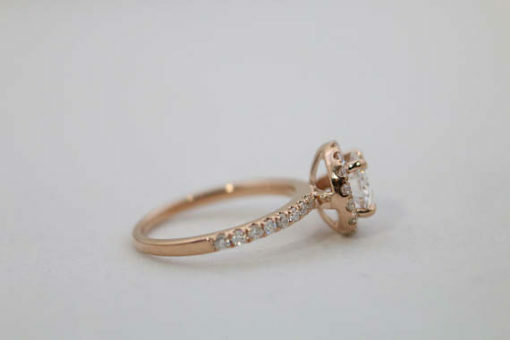 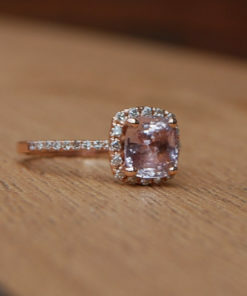 This beauty is set in a 18k rose gold diamond setting.